Are you looking for a proven superfood that has been used for thousands of years to nourish the human body? You’ve found it. 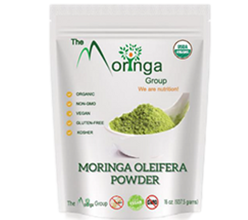 Meet Moringa Oleifera, the most nutritious plant on earth. You know, it seems like there’s a new superfood identified every month – what’s the newest sensation? There are many superfoods that have been identified, and they all have at least one specific vitamin or antioxidant in high levels for health support. And that is great- we should all include more in our diets! 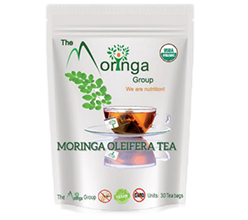 But…then there is Moringa Oleifera. 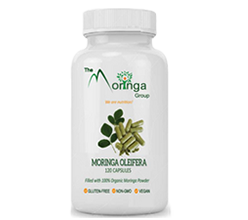 Moringa is the one stop shop for the superfood with arguably the highest nutrient density and the vast amounts of vitamins and minerals from A – Z!! Not to mention, Moringa has the highest levels of antioxidants in any known food. The Moringa Group grows our Moringa Oleifera trees are grown in the pristine and fertile volcanic soils of Ecuador. It is here that the premium quality of our Moringa separates us from the rest. The plants are able to extract most of the macro and micro elements from nutrient-rich volcanic soil. The heavy metal contents of our Moringa products are the lowest of any Moringa products on the market. Ask for our certificate of analysis (COA), we are happy to share it in PDF form within 24 hours of your request. Our Moringa is independently tested and verified by independent laboratories. What does this mean to healthy individuals who are interested in getting premium quality whole food vitamins in their bodies? Highest antioxidant of any plant leaf – much higher than Matcha Tea and it tastes better. THAT’S RIGHT! MOVE OVER MATCHA TEA, THERE IS A NEW ANTIOXIDANT CHAMP IN TOWN!! 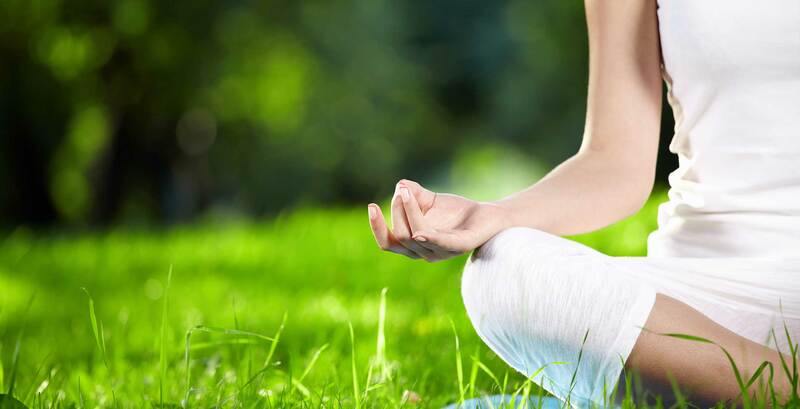 Trace minerals such as Phosphorous, Sulphur, Zinc, Selenium, Magnesium, Copper, Manganese. Many important phytonutrients that help to maintain a healthy body and protect it from diseases. Niaziminin, another Moringa phytochemical, was shown to have potent anticancer activity in animal studies. Obtained from fresh leaves of Moringa are niazinin, niazimicin and niaziminin A and B which have hypotensive effect (lower blood pressure). These compounds belong to the family of mustard oil glycosides and are very rare in nature.One of the most exciting phytochemicals found in Moringa is beta-sitosterol. It acts to reduce the excess of cholesterol in the human blood. Although beta-sitosterol is not well absorbed by the body after ingestion, when consumed with cholesterol (found in animal fats) it effectively blocks cholesterol’s absorption. This ultimately leads to a lower serum cholesterol level. • Reducing cholesterol levels and triglycerides (“bad” fats in the serum). • Offering powerful anti-aging and anti-inflammatory natural substances, many with anti-cancer properties. READ MORE ABOUT THE CONTENTS OF MORINGA AND HEALTH BENEFITS IN PEER-REVIEWED JOHN HOPKINS UNIVERSITY STUDY BY DR JED W. FAHEY, Sc.D. Today, there is an epidemic of cancer, chronic diseases and cardiovascular diseases. This is because we do not eat what our bodies need. Many people today are also deficient in antioxidants. Antioxidants protect the body’s cells and help prevent cancer according to the National Institutes of Health (http://www.nlm.nih.gov/medlineplus/an…). The miracle tree, Moringa Oleifera, is now available to you and will change your life as you know it (90+ verifiable health benefits found in this plant). For more information click our link to the one of the world’s oldest superfoods: www.themoringagroup.com. © 2018 The Moringa Group.